The 2018 Ford Fusion Hybrid is a striking new sedan that is designed to save customers money at the pump. The car is economically friendly and loaded with the latest technology. The luxuries of the Ford Fusion are matched by its safety features and comfort level. The new Fusion includes a number of features that put the car on the cutting edge of technology. Its safety mechanisms display the Lane Keeping System, which helps the car avoid collisions on the highway. The Lane Keeping System is supported by the Lane Keeping Aid and Lane Keeping Alert modules. The Pothole Mitigation system is another bonus. Potholes can cause great damage to cars when they are slammed into unexpectedly. The S, SE and SE luxury packages round out the different models of the Ford Fusion Hybrid. Each car has a different level of technology and luxury. All versions of the vehicle are available with aluminum wheels. 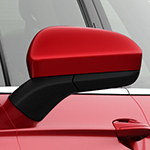 The spoiler kit comes on the SE appearance package and is great for aerodynamic handling. New car buyers should stop in to Vanderhyde Brothers Ford Inc. and test drive the 2018 Ford Fusion Hybrid today.